/ Modified aug 3, 2018 12:44 p.m. The Hualapai Tribe received five grants for airport fixes at its tourism venture. The airport runway at Grand Canyon West seen from an aerial photo. PEACH SPRINGS — The northern Arizona tribe that owns the Grand Canyon Skywalk is getting nearly $2 million in federal grants to fix up its airport. The U.S. Department of Transportation announced the funding Thursday for the Hualapai Tribe. It's part of more than $3 billion in airport improvement funding from the Federal Aviation Administration. 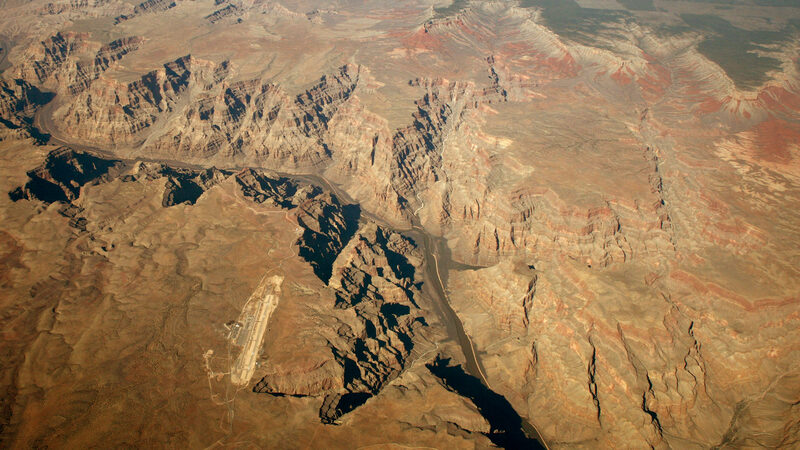 The tribe's airport is at Grand Canyon West, a tourism venture outside the boundaries of the national park. It features a horseshoe-shaped glass bridge known as the Grand Canyon Skywalk, zip lines, rafting trips and aerial tours. The tribe received five grants and will use the funding to rehabilitate the heliport, install perimeter fencing, and repair the apron, taxiway and runway.